It is a warm day in Ancient Egypt, around 2,700 years ago. A woman is being buried and her son is reading the inscriptions on her tomb. He stops at one, which reads, “chief physician.” His mother was a scientist and doctor, and she held this honored title during her lifetime. We know her as Merit-Ptah, the first recorded female doctor and scientist in history. Fast forward 1,500 years to the city of Babylon in ancient Mesopotamia. There, we find the first known chemist in history: Tapputi, who lived in the second century B.C.E. She was known for distilling flowers, oil, calamus, cyperus, myrrh, and balsam in water, then filtering the solution several times in order to make perfume. Stories of girls like Merit-Ptah and Tapputi—girls in ‘STEM fields’—are found throughout history. Yet during the Renaissance, the number of girls in these fields decreased for various reasons. New social norms and stereotypes would dictate the place of girls in STEM fields over the next several hundred years. Today, girls and boys take math and science courses in roughly equal numbers before college. But only 20% of female college graduates hold a degree in a STEM-related field. In the United Kingdom, only 13% of STEM workers are female. In the United States, only 1 in 7 engineers are female. 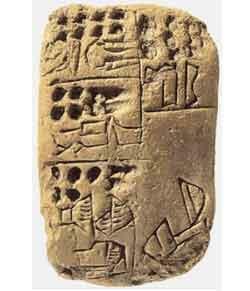 Mesopotamian tablet with inscription describing Tapputi-Belatekallim. STEM is an acronym for fields related to Science, Technology, Engineering, and Mathematics. This includes fields like chemistry, computers and information technology, geology, biology, botany, mathematics, physics, and astronomy. It also includes various social sciences like anthropology, economics, psychology, and sociology. Why should girls pursue STEM fields? The gender disparity in STEM professions around the world is an increasing problem. This keeps many girls from realizing their passions and achieving their full potential. It also prevents girls from becoming the researchers and innovators that make new discoveries and help solve social and environmental problems around the world. Girls should be in STEM fields because it benefits them directly. By encouraging girls to pursue their passions, we are opening the doors for them to reach their fullest potential and to have rewarding careers. In pursuing their passions, girls become energized and confident in their own abilities and are better able to contribute to their communities. STEM fields also offer better opportunities for employment. Currently, there are more jobs available in STEM fields than in any other industry. Most of these jobs are high-paying. For example, jobs for computer specialists in the United States are expected to grow by 1.4 million by the year 2020. Ada Lovelace Day is an international celebration of the achievements of women in science, technology, engineering, and maths (STEM). This video was sponsored by the Biochemical Society. 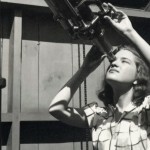 Vera Rubin as an astronomy student in 1948. Image courtesy Vassar College. Vera Rubin was born in 1928. She grew up fascinated by the stars—so much that she built her own telescope. She was the only astronomy major in her graduating class in 1948. Many of her teachers told her that science was not a place for women. Undaunted, she received her doctorate from Georgetown University in 1954. She was the first to make the observation that stars on the outlying parts of galaxies had an orbiting speed matching that of the stars in the center of the galaxy. This was odd, because there wasn’t enough visible mass at the edges of galaxies to support the speeds found in the center of galaxies. It led her to conclude that there must be unseen matter—dark matter—in the outer regions of galaxies. Her observations supported a hypothesis made earlier by Fritz Zwicky. In fact, Vera was able to prove that ten times more dark matter existed in the universe than previously thought, with up to 90 percent of the universe being filled with it. Today, Vera continues to study the galaxies. She has also discovered galaxies where half the stars rotate one way, and half rotate the opposite direction, with both systems intermingled. Her life is an example of how girls in STEM fields contribute to our understanding of the universe and the world around us. Without Vera’s work, we may not have come to realize how much dark matter existed—thus not able to answer some of astronomy’s most pressing questions. Girls in STEM also help to solve social and environmental problems. 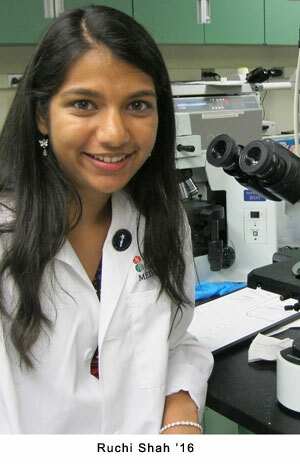 At 14 years old, Nicole Ticea developed a point-of-care HIV test using an isothermic nucleic acid amplification system. With the help of Simon Fraser University student Gursev Anmole and associate professor Mark Brockman, Nicole proved that this test could analyze a pinprick of blood to quickly identify whether someone had recently been infected with HIV. Her invention is invaluable in remote regions and countries that lack sophisticated laboratory facilities. The test could help to more quickly and efficiently identify people that are infected with HIV, leading to faster treatments and prevention to curb the spread of this deadly virus. The impacts of inventions like Nicole’s on rural communities and developing nations are invaluable. By inspiring girls in these communities to pursue STEM fields, we encourage them to invest in their communities and help solve local problems. Youth for Technology is an organization that partners with low-income communities around the world to create rich learning environments for youth and women to identify problems and develop appropriate technology solutions in their home communities. In the interview below, Njideka Harry discusses how YTF impacts girls and their communities through STEM education. 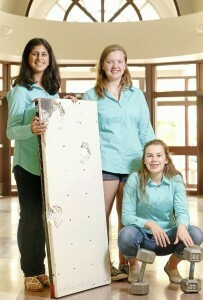 Hayden Hilst, Riya Kaul, and Becca Mackey were seventh graders in 2013 when tornadoes devastated the towns of Moore, Oklahoma, and Joplin, Missouri. Inspired to find a way to increase tornado safety, they developed a method of adding shock-absorbent, cost-effective materials to the walls of the innermost room of a home to help prevent tornado-related injuries and deaths. Their idea aims to absorb the shock of a tornado by layering plywood, chicken wire, spray-on rubber truck-bed liner, and polystyrene foam onto pre-existing sheetrock in homes. This design is especially important to people who can’t afford a FEMA-certified tornado shelter. With their method, lower-income families can add layers to an interior closet and have a better chance of surviving in the event of a tornado. In total, their method costs only $500, as compared to the $4,000 to install a FEMA-certified shelter. Their design has been successfully tested to withstand flying debris in an EF2 category tornado. They entered their invention into regionals for the eCYBERMISSION contest, and “The Knightettes of the Twisters” won! They also received a STEM-In-Action Grant at the national contest in 2014. STEM girls like the Knightettes are integral to solving problems in their own communities. Living in these communities gives girls an intimate understanding of the problems, current solutions, and additional factors faced by that community—leading to a better understanding of how to solve these problems. In the Commission on the Status of Women report in 2014, the UN found that, “In sub-Saharan Africa, for example, it is estimated that 2.5 million engineers and technicians are needed to improve access to clean water and sanitation–a sector that heavily influences the lives of women and girls.” Who better to address this need, and solve the problem of access to clean water, than the girls who live with it every day? All they need is a little inspiration. So how do we get more girls in STEM? We can inspire them, play with them, and help them learn that STEM fields are fun and exciting spaces for discovery, creativity, and innovation. In so doing, we can transform the lives of girls and their communities around the world—creating better opportunities and a brighter future for all. The first step towards getting more girls into STEM fields is to inspire them. We need to show girls how they have been integral to STEM fields throughout history and cultivate interest in girls’ achievements in STEM. This gives girls role models that will inspire them to pursue their passions despite any obstacles they may face. Role models are incredibly important, both to girls and to women, and we need to show girls just how exciting, fulfilling and enjoyable a career in STEM can be. We must prove that there is a path for them to tread by telling the stories, past and present, of the women who’ve built, invented, discovered and explained the world around us, but who so often go unmentioned. -Suw Charman-Anderson, Founder of Ada Lovelace Day. To begin, explore STEM girls from ancient times to today in the Timeline below. Navigate by clicking on the arrow that appears on the right side of the text box in the timeline. There are so many young girls and women pursuing STEM fields today. Through their efforts, countless inventions that will improve quality of life, save lives, and make the world a better place are becoming reality. Explore STEM Girls who have been featured on our blog in the gallery below, then continue on your journey to becoming and inspiring girls in STEM. Amber Barron was a senior in high school when she created an engineering curriculum that is now being used in high schools throughout the United States. Her curriculum focusing on student projects that are developed throughout the year and then presented at an Engineering Fair, in a fashion similar to science fairs. The curriculum is praised for its brevity and has been designed for students to read easily, making it simple yet effective in the classroom. It is also similar to science fair formats, making it easy to implement for teachers. Ann invented a hollow flashlight constructed of Peltier plates. Peltier plates work when a temperature gradient is created between the front and back of the tile. This creates a voltage diffrence that allows the plate to function as a generator. In Ann’s flashlight, the temperature differential is created from the heat of a user’s hand. Essentially, the flashlight recycles the heat from the operator’s hand to provide about twenty minutes of LED illumination. This could profoundly impact many regions of the world where families cannot afford electricity — as Ann discusses in her video for the Google Science Fair. 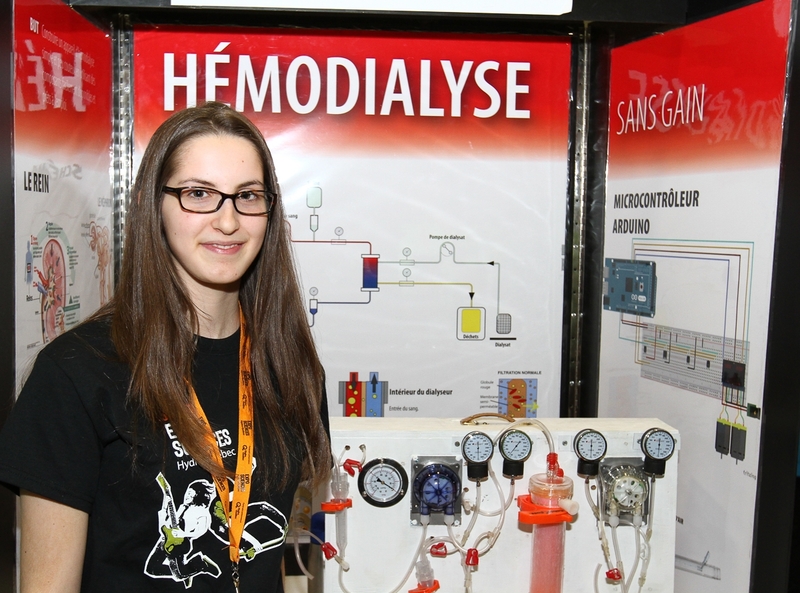 Anya had been volunteering at a hospital dialysis unit when she was assigned a high school science project. At the age of 17, she spent 300 hours inventing a new dialysis machine that would be afforable — costing only $500 as opposed to the $30,000 machines currently on the market. It would also be operational at home, rather than requiring patients to go to hospitals for four-hour treatments several times a week. She was inspired by the patients at the hospital, who faced difficulties getting to the hospital and were very tired after receiving treatment. She has been awarded scholarships and awards, as well as a summer internship to continue testing her invention with the aim to put it on the market. 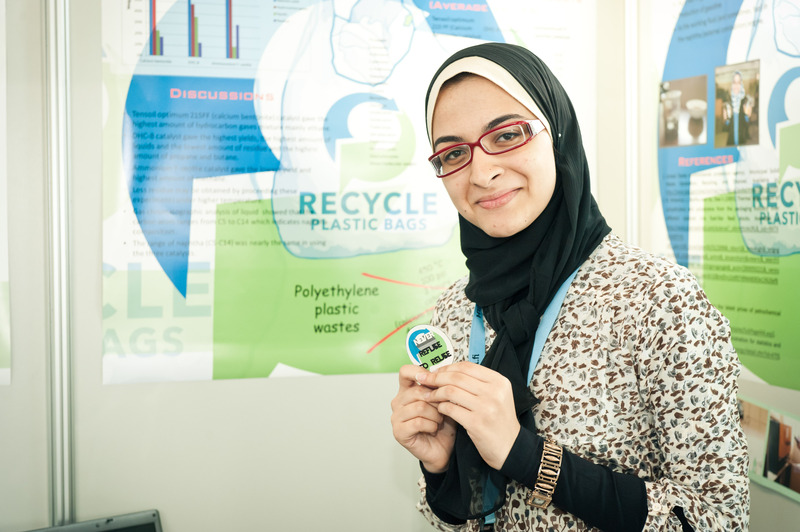 At age 16, Azza developed a method for generating biofuel by breaking down plastics using a low-cost catalyst. The invention will exploit Egypt’s high plastic consumption, which is estimated to be around one million tonnes per year. Her process successfully converts plastic into fuel feedstocks, the bulk raw material for producing biofuel. While the idea is not new, the catalyst used is what gives her idea its strength. The catalyst, calcium bentonite, doesn’t emit any toxic gases and is greatly needed in many countries to help substitute fossil fuels. She won the European Fusion Development Agreement award at the 23rd European Union Contest for Young Scientists held in Finland in 2011. Danielle used mathematical theories on how social or computer networks work to analyze how neurons interact and help us in — or prevent us from — learning new tasks. She was a 2014 Winner of the MacArthur Genius Grant. At age 14, Deepika invented a water purifier that cleans up contaminated water using a sunlight-powered reaction. The UV light reacts with titanium and zinc oxides to produce cell-killing free radicals, making the water safe to drink. She won the Discovery Education 3M Young Scientist Challenge grand prize, with $25,000 to help continue research and production of her purifier. 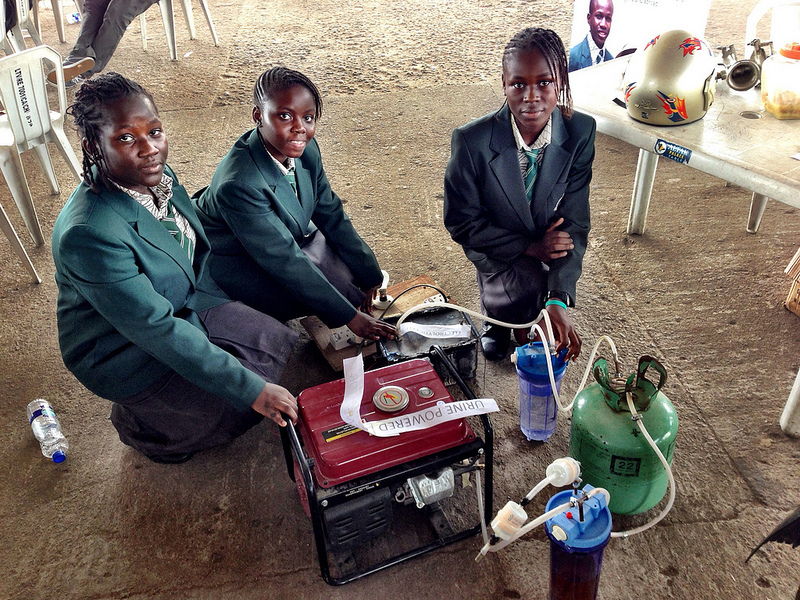 This team of girls invented a urine-powered generator which debuted at the Maker Faire Africa. The device uses an electrolytic cell to remove hydrogen gas from water, removes the residual moisture from that gas, and then burns it to generate power. It requires an input of energy greater than the output gained from burning the hydrogen, which means a net loss across the system. However, the generator is important in areas where water is scarce, such as remote regions of Nigeria, where electricity is also scarce. Many people in rural places rely on generators to provide them with power, and the use of urine rather than valuable water enables families to gain additional hours of electricity without sacrificing precious water. The girls were ages 14 and 15 at time of invention. 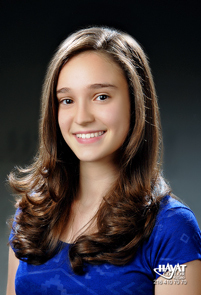 Elif won Google Science Fair’s Science in Action award in 2013 at the age of 16. She developed a bioplastic from discarded banana peels, enduring 10 failed trials of plastics that weren’t strong enough or that decayed rapidly. She hopes that the use of the bioplastic could replace some of the petroleum-based plastics in use today for such applications as insulation for electric cables and for cosmetic prostheses. Emily is a Humanitarian, Designer, and Founder of Project H. She studied architecture because it combined her loves of math, structural engineering, and people. 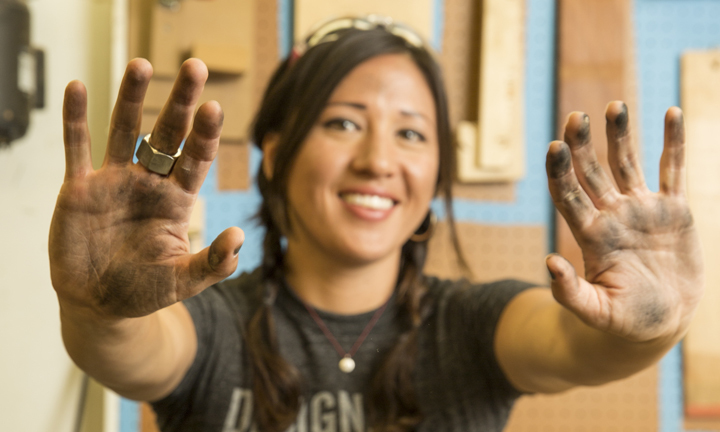 Emily founded Project H in 2008 as a design and skill building camp for students. Emily believes that by giving youth, particularly girls and students of color, the skills to design and build their wildest ideas, we can support the next generation of creative, confident changemakers. Hayley won Canada’s Google Science Fair in 2014 for her invention of a faster way to clean up toxic waste generated by oilsands extraction, using filters made from sand and bacteria. She was inspired by the local pollution problem in her hometown of Alberta, Canada, and a presentation she had attended that showed how to make clean drinking water from pop bottles and sand. 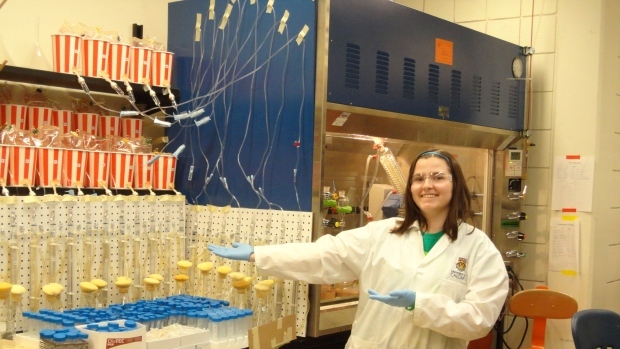 She contacted the University of Calgary and was granted permission to work in Professor Lisa Gieg’s lab on her idea. Based on her research, Hayley says that her invention could break down toxic compounds found in oilsands tailings 14 times more quickly than letting them sit, stored in tailing ponds, as they are now. This means that she has found a sustainable way to decrease the detoxification of tailings ponds from centuries to decades. Lauren is the founder of Cool Kids Studio and the developer of the initiative’s three websites. She’s using technology to teach lift skills to children ages 3 through 12, ranging from advice on dealing with bullies to meditation. She also presents resources for parents and educators and has presented a proposal to Minister of State for Skills, Research and Innovation Damien English, suggesting that Cool Kids Studio become part of primary education curriculum to address “emotional learning.” She was presented with the Next Generation Award for Excellence at the Irish Internet Association’s Dot IE Net Visionary Awards. At age 9, Lily invented the unspillable cup, created for her grandfather who has Parkinson’s and was often spilling his drink. 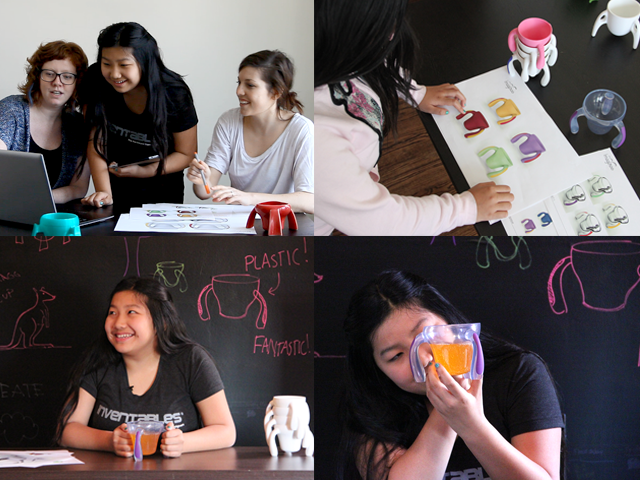 She took her invention to Kickstarter, called it the ‘Kangaroo Cup,’ and raised enough funds to mass produce it. At age 11, she revised the cup design and changed the material from ceramic to “unbreakable” plastic, as Kangaroo Cup 2.0. When her mother fell ill, 14-year-old Remya found herself hand washing laundry after long days at school, since her father could not afford to buy a washing machine. 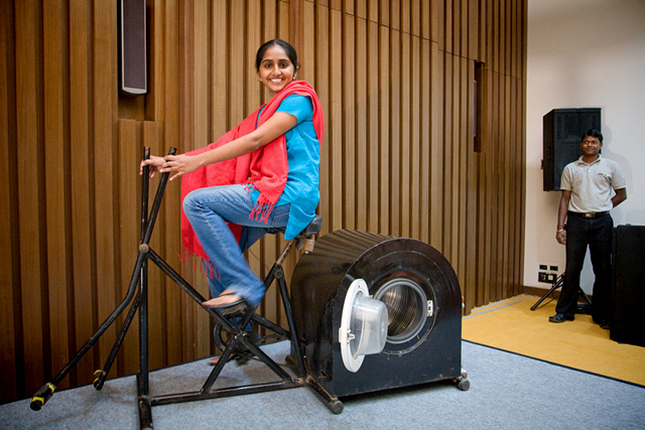 Looking to relieve the burden of handwashing, Remya invented a pedal-powered washing machine that won her a National Award in 2012. She converted an old stationary bike into a washing machine, which runs on the power generated by the pedals. It is a fully functioning washing machine without any need of grid electricity, which helps save time and money for her rural family. Her machine can handle laundry in about half an hour, out of which only 4-5 minutes are required for pedaling at the start, and just as long at the end of the cycle. Ruchi Shah became aware of the threat of mosquito-transmitted diseases when her uncle became infected with dengue fever during a trip to India. She learned that mosquito control methods were inefficient due to mosquito’s ability to become resistant to most methods. 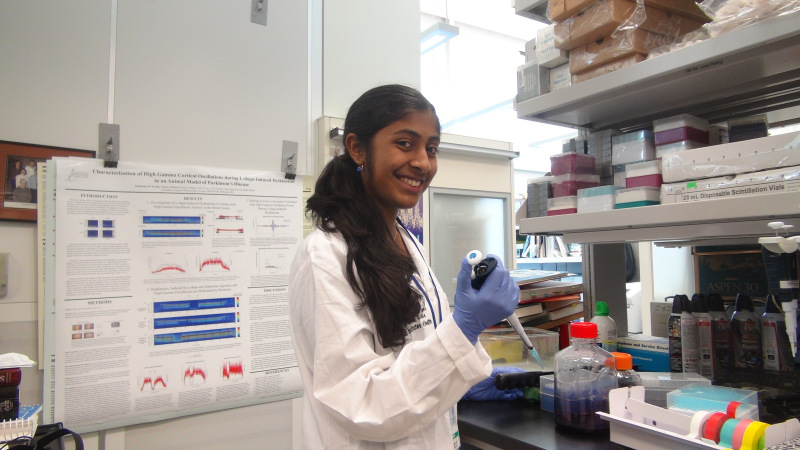 In response, Ruchi developed and patented an affordable, all-natural mosquito repellent to fight Malaria in 2013, at the age of 19. The repellent is based on her research on nitrogen-based compounds in human perspiration that attract mosquitos; her repellent is able to neutralize these compounds and mask the scent of human perspiration. She is going to donate the profits from the sale of her repellent to third-world countries to reduce the incidence of mosquito-borne diseases such as malaria. Sky invented a harness based on one her mother made her wear in order to keep a grip on her while she was learning to ride a bike. The harness is for small children. It fastens over a child’s shoulders and around his/her chest, and has a handle attached ot a strap crossing the back. When the child loses his/her balance on the bicycle, Mom or Dad can hang on to the child rather than the bike — resulting in fewer injuries to the children, who let go of the bike (which then goes flying). 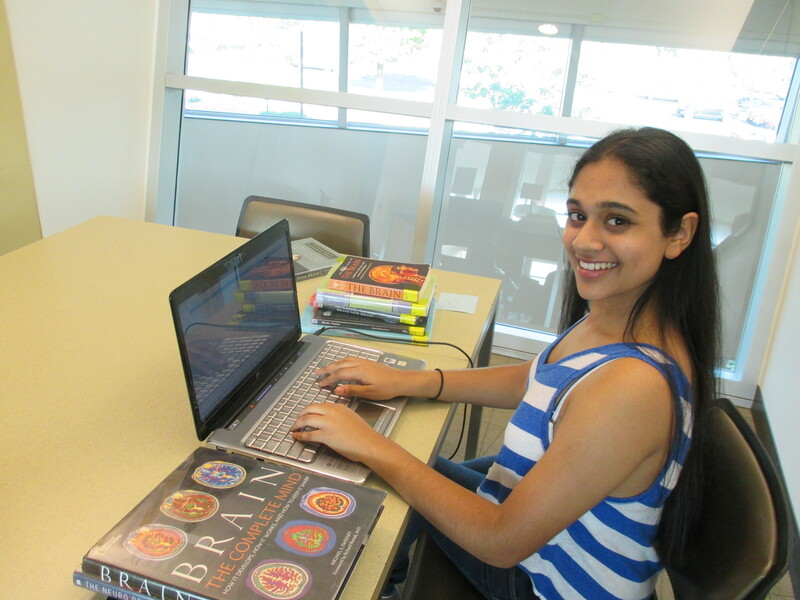 Trisha was 14 when she became a Google Science Fair finalist. She invented a mobile app, “Rethink,” which allows users to give a second thought to potentially harmful social media posts. It works as an add-on that automatically sends a notice to the author to rethink his or her post, giving the user the chance to change or delete postings that could be considered cyberbullying. Trisha’s inspiration stemmed from her own research in psychology, which indicated that teens “may not understand the potential consequences of their actions because the prefrontal cortex isn’t developed until age 25.” In trials of her app, Trisha found that 93 percent of users with the app retracted their posts, proving that a second chance to rethink their words was enough to stop cyberbullying actions altogether. 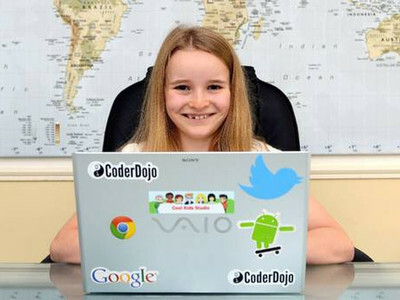 Tyriah is the youngest-ever founder of a CoderDojo, a volunteer-led initiative to teach kids how to code. A self-taught Python coder, she collaborated with Torsten Reil, CEO of NaturalMotion to set up her dojo. Torsten also volunteered to mentor the first session, hosted in March of 2014. 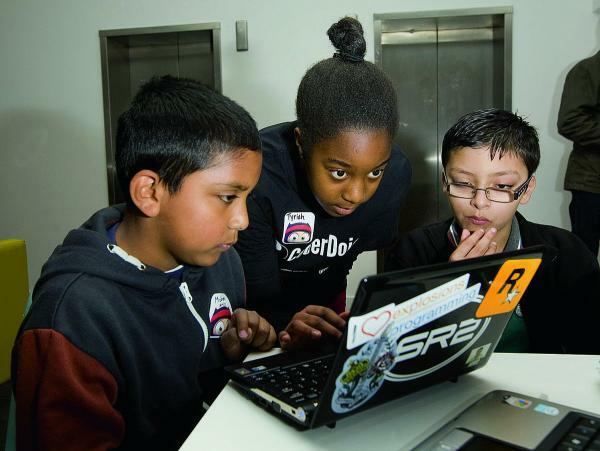 Tyriah has been coding since the age of 9 and attends the annual Festival of Code. 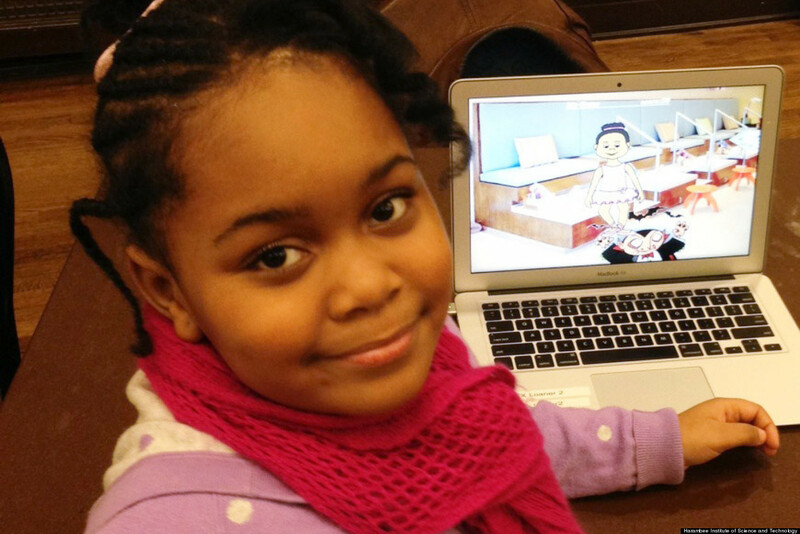 In 2013, Zora become the youngest individual to create a full mobile application video game at the age of seven. She created a video game in a class at the Harambee Institute of Science and Technology Charter School that utilized open-source software Bootstrap and Alice 2.0. In her game, you play a ballerina who is searching for a jewel in a nail salon while trying to avoid a vampire. You’ve found inspiration in the past and present—now, find your mentor! Mentors are an invaluable resource to young girls interested in any field. They encourage a girl’s ambition, empower their confidence, and keep them on track by helping them set goals and work toward achieving them. Mentors also help introduce girls to how their interests are applicable to real-world problems, and they help to pinpoint the skills and resources that are best suited to help a girl achieve her dreams. Million Women Mentors, an engagement campaign and national call to action that mobilizes various entities to mentor girls and young women in STEM fields. They provide links to mentoring opportunities searchable by U.S. state. Also look to family, friends, and teachers as mentors—in a STEM-related field or who teaches STEM fields is an opportunity to learn more. They may also introduce you to individuals they know who share your interests! Play is critical to childhood development. Research has also shown that children who spend lots of time engaged in play develop spatial skills, are better abstract thinkers, and are more socially and linguistically competent. It also introduces children to the notions of success and failure: that they often have to explore a problem from multiple angles and that their abilities can grow. Play also develops their cooperative and brainstorming skills—helping them to create, make decisions, and resolve conflicts. There are many opportunities for play in the home. Playmates can be parents, guardians, siblings, and friends or neighbors who visit. The home environment itself can be a playground for experimentation—ranging from cooking to playing in the bath to building a race track that winds through the house. The outdoors can also be a place of exploration and experimentation: grow a garden, experiment with how different liquids evaporate, or discover the variety of living things already in your backyard. Children playing Robot Turtles. Image courtesy ThinkFun. You can also purchase a variety of toys to play at home. 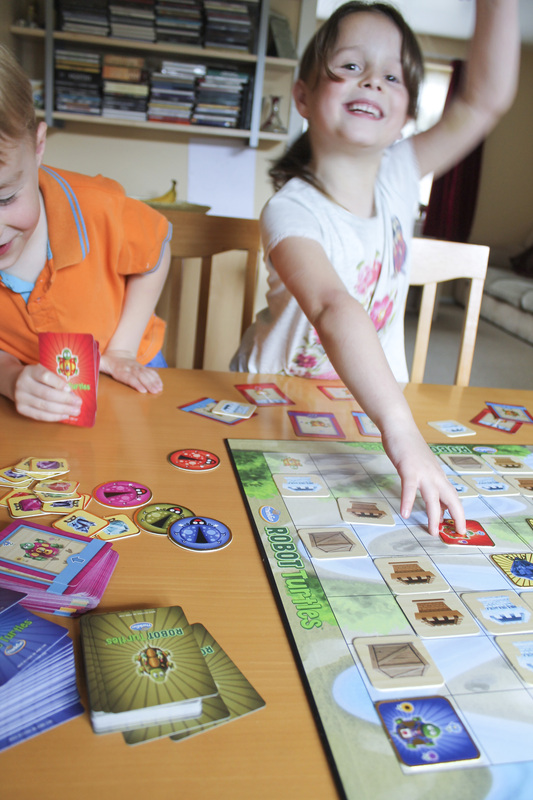 ThinkFun’s Robot Turtles is a board game by Dan Shapiro to share the superpower of computer programming with his then 4-year-old twins, a boy and a girl. It began as a Kickstarter project, quickly becoming the most-backed board game in the history of the popular crowd-funding site. Read about some of the benefits of Robot Turtles in this study, then head over to Amazon.com to buy the game! Products by Geek & Co.
Also consider websites, television shows, mobile applications, and books to encourage girls in STEM. Check out our “Resources” section at the end of this exhibition for suggestions! Schools are also places for girls to engage in STEM—from early science classes to middle and high school clubs and programs. Sparking girls interest in STEM during school starts in the classroom. Having teachers and faculty that are supportive and encourage young girls to pursue their interests and achieve their full potential in class are key. This includes combating negative stereotypes about girls in STEM by providing them with female role models, stories about discoveries in STEM fields by women, and reinforcing that a girl can build upon her innate abilities through further study. Schools also provide spaces for a variety of extracurricular activities that impact girls in STEM. These include clubs provided during or after school hours, in fields such as robotics, chess, math, and Minecraft. For resources on starting a Minecraft club, check out PrimaryMinecraft.com, a site run by a digital educator and trained primary school teacher to help bring Minecraft to more primary schools. Other extracurricular activities include competitive math teams and the Math Olympiad, Destination Imagination, Engineering for Kids, and the FIRST LEGO Leagues. Learn the benefits of activities like FIRST LEGO Leagues in the video below, by the Center for Rummelighed in Denmark. Girl Scouts compete in the Mission Ocean Challenge during the USS California Science Experience at Naval Surface Warfare Center (NSWC) Corona Division. The event is intended to introduce student to real-world applications of STEM fields. Credit: U.S. Navy photo by Greg Vojtko. A girl’s community can also be a source of STEM discovery and exploration. Communities may have various clubs and activities geared towards girls, such as scouting programs. The Girl Scouts of the USA encourage STEM fields through their National Leadership Journeys and National Proficiency Badges programs. 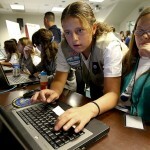 Scouting also provides opportunities through partnerships and sponsorships to help bring STEM fields to girls, such as robotics teams, NASA Space Camps, and the Mission Ocean Challenge. National Leadership Journeys encourage girls to discover their special skills and talents, build confidence, connect with others, and take action to make the world a better place. It’s Your Planet–Love It! is a hands-on journey that helps girls discover nature, engineering, and science as it applies to the world around them. Girls also develop leadership and cooperative learning skills. National Proficiency Badges are individual achievements that girls earn by learning about specific topics. Many badges in the scouting program involve STEM, such as the Cook and Artist badges. The Digital Art badges helps girls build technology skills by participating in activities such as digital photography and movie making as well as website design. Innovation badges help girls solve problems in fields such as anthropology, engineering, and business. Financial Literacy badges help build math skills by inviting girls to learn how to manage money, save for the future, and establish good credit. 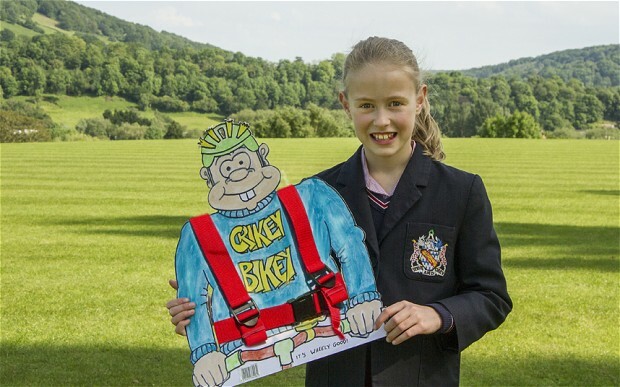 Girls can also choose to make their own badge each year, designing a badge uniquely suited to their interests. One of the best resources for STEM opportunities is your local museum! Many museums offer a variety of camps, classes, and special programs throughout the year. Check out “Find a Science Center” by the Association for Science Technology Centers to locate a science museum near you—and look for reduced or free admission days and special events! “I was always the type of girl to flip over rocks in the yard to see what lurked underneath, and dip my nets into the pond grass to discover what lived in its depths, eagerly bringing any new creepy crawlies to share with my ever patient mother. It wasn’t until after college graduation that I got the chance to take my natural curiosity to the workplace. The Waterman’s Museum in Yorktown plays host to school kids from all over Virginia, getting their hands dirty with what is for many students their first experience with ecology and marine biology. On my first day, a fifth grade class had made the hour drive from the city and I observed as they received a crash course in watersheds from the program’s energetic and knowledgable director—and then suddenly, I heard my name called and a group of eagerly chattering girls and boys had lined up in front of me. I knew all the facts, I knew the educational goals and was prepared with my information. What I was not prepared for was the realization that most of my group had never seen a crab. As the big male I had pulled out of a crab pot angrily waved his claws at the group, squeals and shouts erupted—and soon, fluttering hands in the air determined to at least try to answer my questions. After learning about their diet, adaptations and environment, they got to try their own hand at crabbing. It was a scene to be repeated many times throughout the summer, with a wide span of local sealife. The more I spoke with my groups, and the more girls and boys I met, the more I became convinced that science was something that has to be done young. It has to be done when children are curious, when they want to explore, and when they are receptive to new ideas. Over the summer, they learned not just what these animals do, but what they do for us and our waterways, and how to be responsible stewards of our ecosystem. A final option for girls interested in STEM is to attend a camp! Camps can be invaluable learning experiences for girls, including opportunities to learn new skills, make new friends, and become more confident in their own abilities. They can also help inspire girls to pursue new career paths, as shown by the Young Girls Science and Health Tele-Academy in Nigeria. After a three-month camp, which encouraged girls to identify pressing real-life issues in their communities and use technology to create interventions, an estimated 55% of the girl graduates pursued STEM careers or declared STEM majors in their university studies! An interesting camp that combines STEM fields with Art is Camp H. Camp H is a design and building camp for girls ages 9-12 held in afterschool and summer programs. Girls learn use science, technology, engineering, arts, and math (STEAM) skills to create projects of personal and social relevance. The camps use an 11-module “Fearless Builder Girl” certification to teach the skills such as carpentry, welding, masonry, electronics, architecture, and design. The camp also includes field trips to explore real-world applications of these skills. Sharpen your math skills at summer camp with MathCamp or at your local college or university. Visit Connect A Million Minds to access a listing of activities and resources in your community. Experiments are a great combination of play and learning. Explore STEM experiments that you can do at home in our YouTube playlist below! Girls who have discovered their interest in STEM through inspiring role models and play are ready to keep learning! There are a variety of learning opportunities for girls, both in and out of the classroom. The tabs below explore options for learning outside of traditional classroom environments—ranging from experiments you can do at home to internships and competitions. Our GirlSpeak podcast for March 2015 featured our own STEM Girl, Hillary Hanel. Hillary explores the place of girls and women in STEM fields, why these fields are important, and introduces us to a variety of STEM careers that you might not have known about. Hillary also talks about her own studies in biology, history, and museum studies and what that has led her to do as a career! Ready to put your STEM skills to the test? There are a variety of opportunities to meet other STEM girls, and one of the best is to participate in competitions and conferences. GirlStart hosts the annual Girls in STEM conference for girls in the 4th through 8th grades. The day-long conference is led by professional women in science, technology, engineering, and math careers and features a variety of workshops organized by grade level. 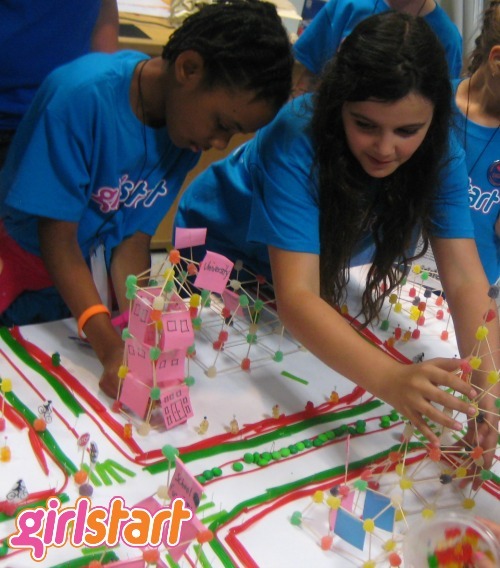 GirlStart also offers a variety of summer camps and STEM programs for girls. Other conferences include the STEM Conference at The Red Maids’ School in the United Kingdom and the Girls STEM Summit in New England. Competitions are another way to meet STEM girls and test your skills. Various competitions are held all around the world, including the Intel International Science and Engineering Fair and the Google Science Fair. Other competitions include those listed at EngineerGirl and on HelpTeaching.com. Finally, one of the best ways to learn new STEM skills and explore potential career paths is to complete an internship. There are many benefits to completing internships. Girls participating in GirlStart programs. Image courtesy GirlStart. Will you be the next Rosa Smith Eigenmann, who discovered the blind goby fish in San Diego and then went on to formally described 150 species of fish while raising five children? Or maybe you’ll be like the inventor Maria Beasely, who received fifteen patents between 1878 and 1898. Her first was for a barrel making machine, which earned her almost $20,000 a year. Other of her inventions include a foot warmer, steam generator, and an anti-derailment device for trains. Most notably Maria invented the life raft, which is still in use today. Or you might be like Sylvia Todd, the whiz kid who hosts Sylvia’s Super-Awesome Maker Show on YouTube. Whoever you’ll be, and whatever you’ll do, we hope it’s because you love what you do. Get inspired. Play. Learn. Change the world. -Fabiola Gianotti, Higgs Boson physicist. 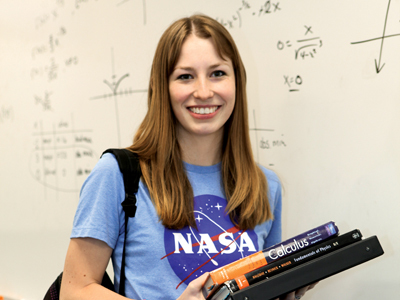 There are many resources available for girls interested in STEM fields. Check out our Educational Guide, which It features many activities for students to explore the exhibit and re-create famous STEM women experiments. Many of the activities are also aligned with Common Core State Standards. Our Educational Guide is designed to be used in a variety of classroom settings, including home school, elementary and secondary school, and university classes. Sing About Science features songs, lesson plans, and quizzes about STEM fields. The following television shows and movies feature girls in STEM fields. Johnny Test, a cartoon show with scientist sisters Susan and Mary Test. Sandy Cheeks from Spongebob Squarepants. Quinn Pensky of Zoey 101. Princess Bubblegum of Adventure Time. Luca, an engineer on Chrono Trigger. Kaylee, an engineer on Firefly. Captain Katherine Janeway, Chief Engineer B’Ellana Tores, and Seven-of-Nine of Star Trek: Voyager. Dr. Beverly Crusher of Star Trek: Next Generation. Communications officer Nyota Uhura of Star Trek: The Original Series and the latest Star Trek movies. Chief Science Officer Jadzia Dax of Star Trek: Deep Space Nine. Mythbusters featured Kari Byron from 2003 to 2014. MARVEL’S Agents of Shield features bio-chemist Jemma Simmons. Dr. Amy Farrah Fowler and Dr. Bernadette Rostenkowski-Wallowitz of The Big Bang Theory. Dana Scully of The X-Files is a forensic pathologist and FBI agent. Samantha Carter is an engineer and astrophysicist on Stargate: SG1. Big Hero 6 — features GoGo Tomago and Honey Lemon, engineering majors/superheroes. Contact — Ellie Arroway, astronomer. Avatar — Grace Augustine, an exobiologist. Gravity — Dr. Ryan Stone, medical engineer and mission specialist. I, Robot — Dr. Susan Calvin is a robopsychologist. Twister — Dr. Jo Harding, a meteorologist. Gorillas in the Mist tells the story of Dian Fossey, a distinguished primatologist. **Please note that these programs may not be suitable for younger viewers. Parental discretion is advised. The following mobile applications help girls develop STEM skills. Most links below are for the iTunes version, but many apps are also on the Google Play store. Seasons and Weather features Poko, who helps children learn to identify various weather situations in different seasons and about appropriate clothing and activities. Max and Ruby: Science! features the beloved Max and Ruby exploring physical science. Inside Your Outside features the Cat in the Hat and teaches the human body and its functions. DIY Nano and DIY Sun Science from The Lawrence Hall of Science at UC Berkeley explore the worlds of atoms and molecules and all about the sun. Monster Physics invites kids to use dozens of parts to build contraptions that are used to solve missions. Best part: there’s no single right answer to any problem, making it a very creative app! Peg and Cat Big Gig combines music and math based on the popular PBS TV show. Twelve a Dozen is the story of “Twelve,” a young number in the land of Dozenopolis who must save her family through math challenges. Monument Valley features Ida, a princess who faces constantly changing challenges on her journey. GoldieBlox and the Movie Machine features Goldie saving the Bloxtown Film Festival by making short stop-motion movies. Chem Lab helps kids learn and remember elements and chemical compounds with an entertaining twist! Solve the Outbreak features users as disease detectives working to contain outbreaks of infectious diseases. Be sure to shop these books on Amazon Smile, and Amazon will donate a portion of your purchase to Girl Museum, at no cost to you! The curatorial team for this exhibition was Hillary Hanel and Tiffany Rhoades, with the assistance of Katie Weidmann and Ashley Remer. Katie Watkins, Junior Girl with Girl Museum, for her memories of delivering STEM camps. Elizabeth Shea of Shea PR, for the information regarding Robot Turtles. Njideka Harry of Youth for Technology Foundation (YTF). Suw Charman-Anderson, founder of Ada Lovelace Day, for permission to utilize the video of Leila Johnston. And all the incredible girls and women who have come before us. You are the inspiration that makes all that we do and dream of possible.